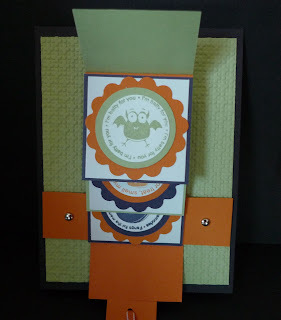 Karina's Kreations: Batty For You Waterfall Card! 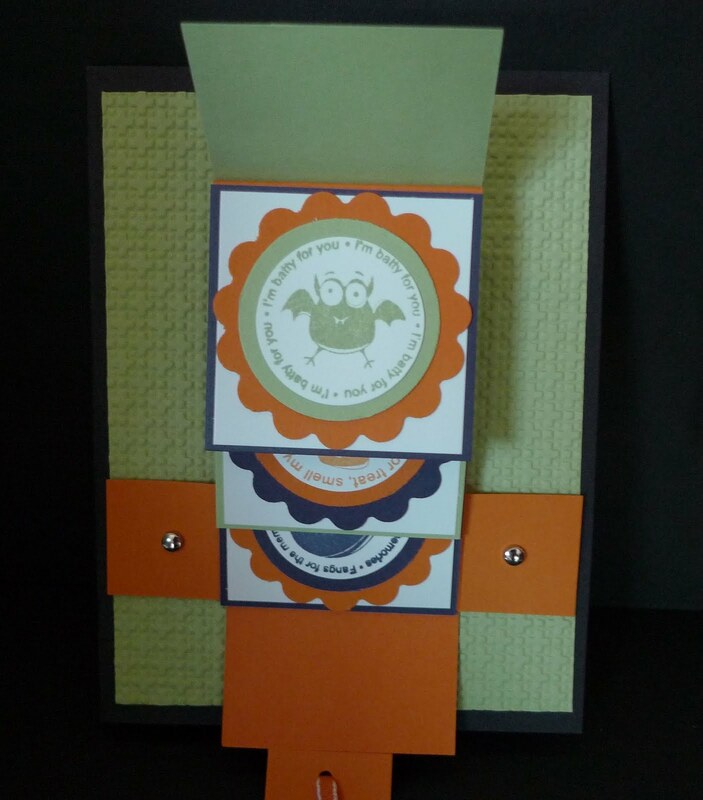 Batty For You Waterfall Card! 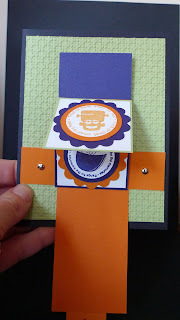 I wanted to share this cute Waterfall card made with the Batty For You stamp set. There is a tutorial on Splitcoaststampers that gives step by step instructions for this type of card. 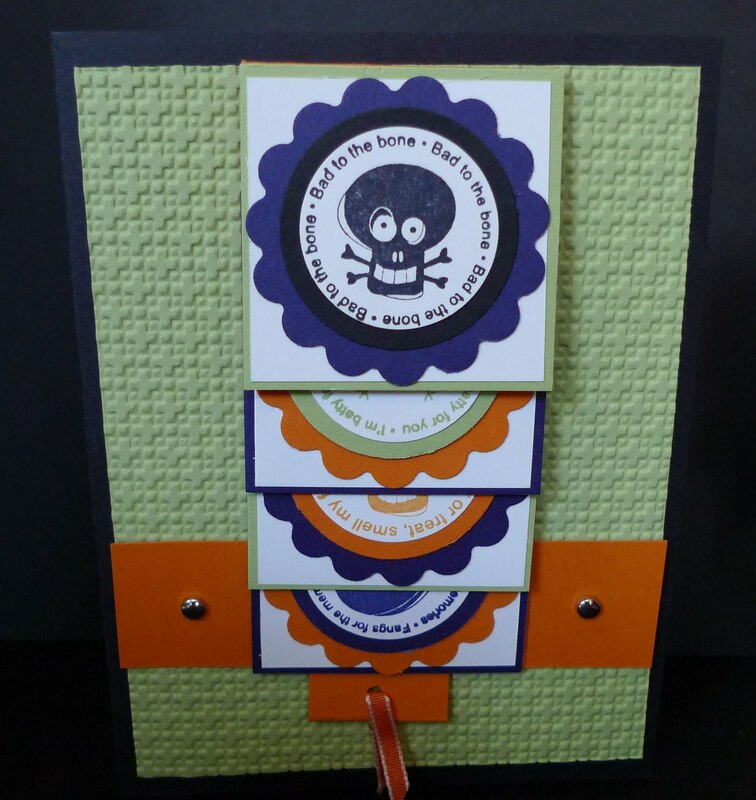 The card stock colors are Basic Black, Whisper White, Pear Pizzazz, Concord Crush and Pumpkin Pie. The punches are 1-1/4" circle, 1-3/8" circle and the 1-3/4" Scallop Circle. The embossing folder is the Square Lattice folder. Impress your kids and make one today!